There are actually a lot of ways for you to capture audio from DVD. First off, the easiest and most direct way to capture sound from DVD is to record the audio when playing the DVD. In this way you can easily get the part you want with precision. There are many excellent audio recorders available for you to choose from. The second way you can try to capture audio from DVD is to convert the DVD into an audio file. Both ways should be able to get the job done nicely. Check out detailed instructions on how to capture sound from DVD in the content below. To capture the audio of a specific part of a DVD movie, an audio recorder would be a suitable choice as you can start and stop recording at any point you want. It gives you full control over the audio recording process and allows you to record the audio with precision. Here’s a DVD audio recorder you can try: Leawo Music Recorder. It can record audio tracks from all kinds of sources. You can use it to record and download music from online music websites, record audio from your microphone and, of course, record audio from DVD. You can save the audio recordings in MP3 and WAV formats. 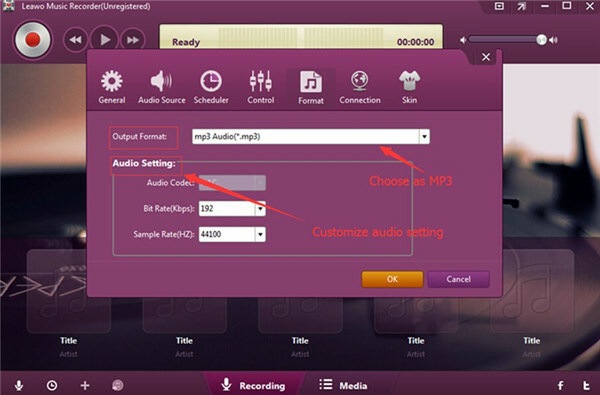 Below is how you can capture audio from DVD using Leawo Music Recorder. If you’ve never played a DVD on your computer before, here’s something you should know. Starting from Windows 8, Microsoft had stop featuring built-in Blu-ray/DVD player in its operating system. So if you use a computer running Windows 8/8.1/10, you are going to need a third-party Blu-ray/DVD player program to play your DVD. The DVD player software you can use to play a DVD on Windows 8/8.2/10 includes VLC, Leawo Blu-ray Player, etc. Go download a DVD player first so that we can proceed with the DVD audio recording process. Here’s how to use Leawo Music Recorder. Step 1. Launch Leawo Music Recorder on your computer. There are a few settings we need to go through before starting to record DVD audio. First is to set the audio source for recording. There’s a microphone icon in the bottom left of the interface. Click on the icon to display a new window. On the pop-up window, check Record Computer Audio on the top as we will be recording the audio track of a DVD playing on your computer. Step 2. Continue to click the Format button on the top of the window to set output format for the recording. Click on the Output Format box and choose between MP3 and WAV from the drop-down menu. You can also change the Bit Rate and Sample Rate for the recording in the Audio Settings section below if you need. Step 3. Click the General button in the top-left and then you can see the default output directory on it. Click on the Folder icon next to the Output box to select a new location for the recording if you want. And then click OK to close the pop-up window. Step 4. Now you may start recording anytime you want as we just went through all the necessary settings above. Just put the DVD disc into your disc drive and start playing the DVD movie with a DVD player program. When the point where you want the recording to start is about to come, press the Start Recording button in the top-left corner of Leawo Music Recorder to start recording the DVD audio. And when you want to end the recording process, simply click on the button again. 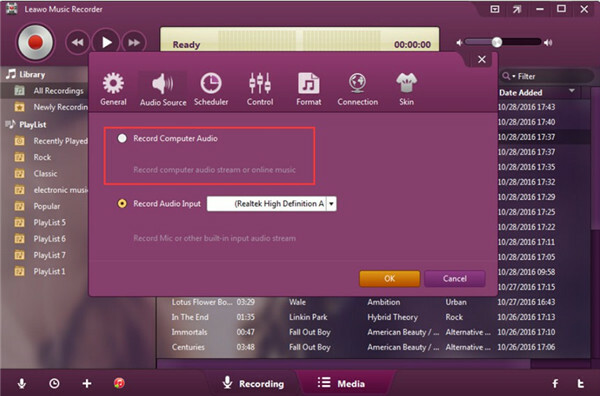 As you can see, it’ll only take you a few clicks to capture audio from DVD with Leawo Music Recorder. 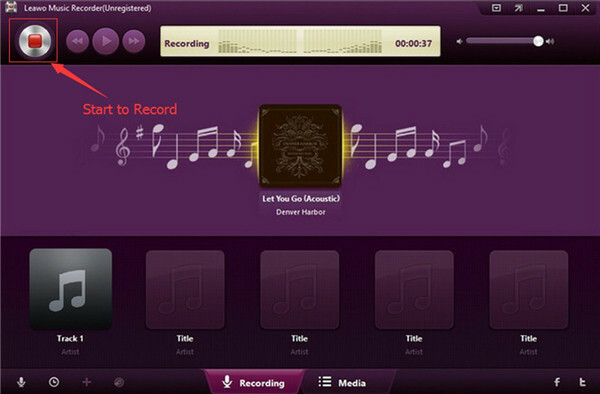 You can use it to freely record and capture any part of the audio track as you like with the help of the program. Leawo Software is a multimedia processing software manufacturer and Leawo Music Recorder is not the only program you can find on Leawo’s product list that can help you capture audio from DVD. 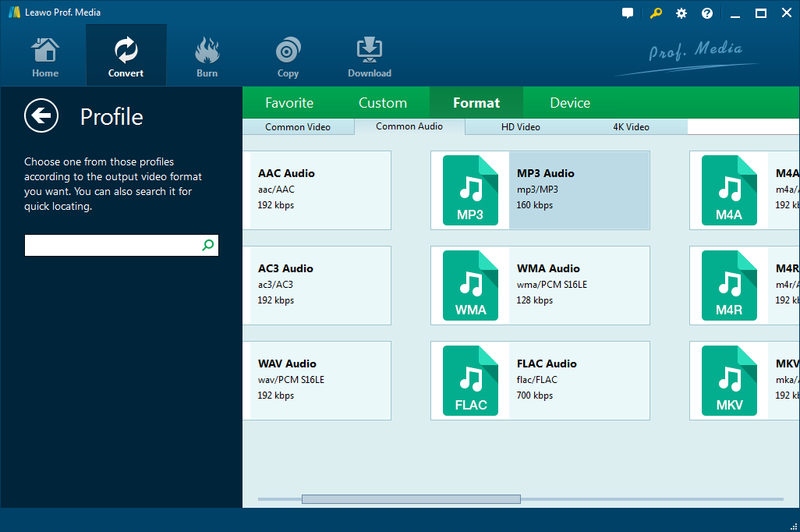 There’s another program from Leawo you can use as a DVD to audio converter to capture sound from DVDs. Leawo DVD Ripper is a dedicated DVD ripping program that offers users with the ability to rip and convert all kinds of DVDs to videos and audio files in all kinds of popular formats. The most powerful feature of it would be ripping DVD to lossless MKV. It can create a MKV video from DVDs with no compression. 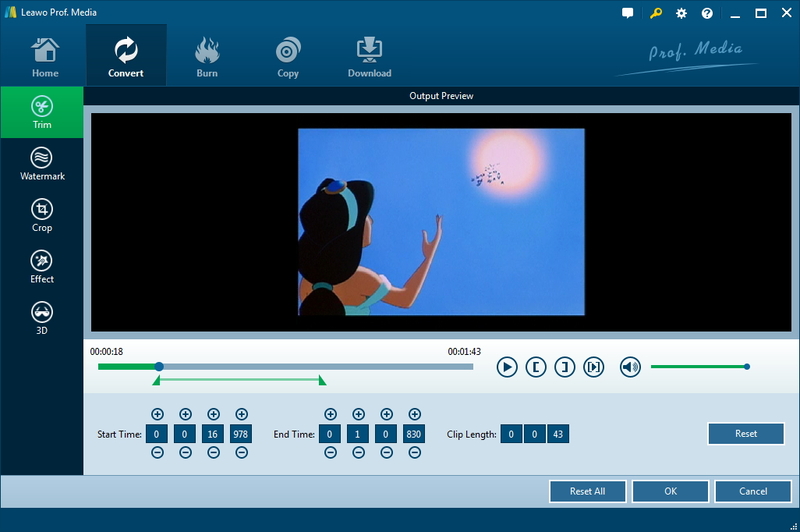 And there’s the built-in video editor that allows users to trim, crop videos, add watermark, adjust video effect and even apply 3D effect on 2D videos. You can utilize the video trimming feature to capture a certain part of the DVD audio track, which I will show you in the instructions below. Note: After years of updates, Leawo DVD Ripper has now become a part of Leawo Prof.Media, Leawo’s software suite that contains in total of 8 different media processing tools. Step 1. Insert the source DVD disc in your DVD drive to get it ready for the following audio capturing process. Step 2. Start Leawo Prof.Media. When it finishes loading, there will be 8 buttons on it representing the 8 modules inside it. Click the DVD Ripper icon to open Leawo DVD Ripper. Step 3. 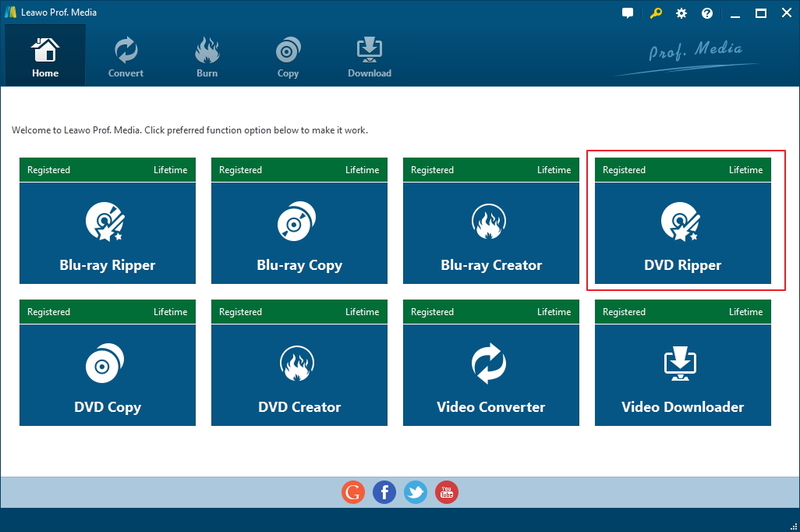 Now that the disc had been placed in your DVD drive in advance, you can directly import the DVD content to the program by clicking Add Blu-ray/DVD>Add from CD-Rom. Click on the following option to load all the DVD content to the program so that you can pick out the video that contains the audio track you need from the disc in the next step. Step 4. You will see a video title list on the following page. And there are 3 buttons on top of the list and a video player window on the right side. You can play the videos with the video player to find out which videos are the ones you need. Just choose one video from the list and click the Play button on the video player to play the video. After finding the videos you need, you can click the Custom Mode to manually select them from the video title list for converting to audio files. If you need all the videos to be converted audio, just choose Full Movie. And the Main Movie button will have the main movie in the disc picked out for you. Just click OK when you are done selecting the videos you need and the chosen videos will be moved to a new video list. Step 5. As Leawo DVD Ripper offers a number of video and audio formats, you need to choose an audio output format for the chosen videos manually. You can find the supported output video and audio formats in the Profile panel which you can get into by clicking MP4 Video>Change. The MP4 Video button is the Format button that displays to users the current output format. If you choose MP3 as the output format from the format list on the Profile panel, then the MP4 Video label will become MP3. Step 6. If you only want a certain part of a video’s audio track, here’s how to choose that part for the conversion with the built-in video editor. On each video file there’s an Edit button, click on the one on the video you need to open the Video Editor. And then click the Trim button on the left column. On the top area is the video preview window and below it you can see a progress bar and two indicators below it. 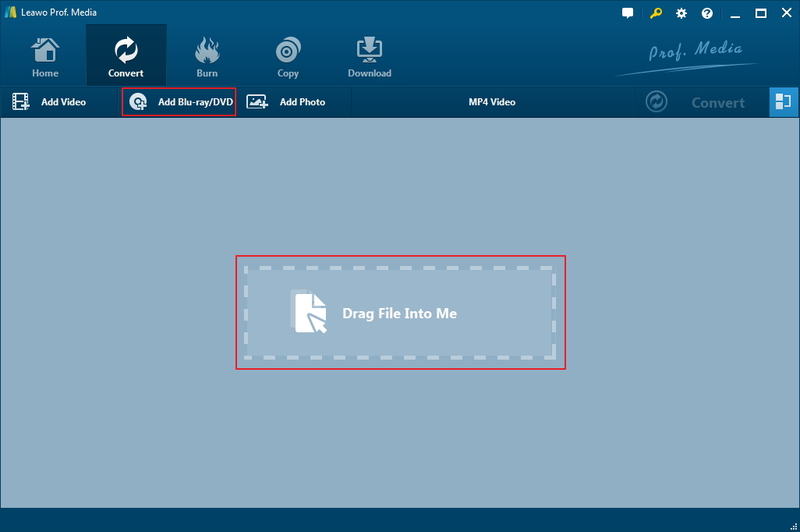 Use the two indicators to set the start point and the end point of the video and when the video is being converted to MP3, only the chosen part will be saved to the MP3 file. And then click OK to save your changes to the video and return to the video list. Step 7. Click the Convert button next to the aforementioned Format button and you will see a new panel emerging from the right side of the video list. On top of the panel is the output directory box where you can see the default output path. To change the default path the program provides, click the “…” button next to it. And then you can start converting the DVD audio to MP3 by clicking the Convert button at the bottom. 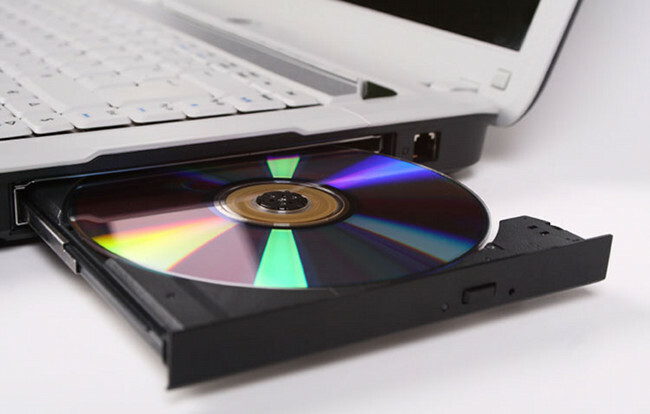 Below is a brief video guide that shows you how to rip DVD to video with Leawo DVD Ripper. You can refer to this video for converting DVD to MP3 as well. Leawo DVD Ripper is a powerful DVD ripping program. it can not only help you rip DVD to MP3 but also other formats like MP4, AVI or WMV to play DVD on Apple TV, PS4 or other digital products. Go visit Leawo DVD Ripper’s official site and you will discover more surprises. And remember to check out the promotion page of Leawo’s. The company will periodically sell its products with great discounts on its promotion page. So be sure to check it out before making your purchase.